Autumn is upon us. 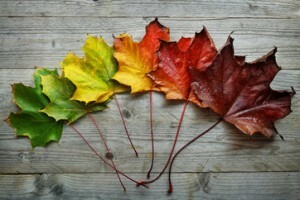 The season of change. The air is getting colder (well, it will at some point), days are getting shorter, rakes and leaf blowers emerge from their summer slumber and football dominates the American Zeitgeist, both because of the sporting spectacle and the expanding national anthem controversy. But it just so happens that autumn is also the best time to assess your HR department’s readiness for the future. Not only is it hiring season, but many fiscal years end soon, next year’s employee handbooks are on our minds and budget planning for 2018 is underway. Are you ready? Let’s find out. First, an alarming stat that will make most of us feel very old: by 2020, about 75% of your HR staff is predicted to be comprised of millennials. Nothing against millennials (and I know they hate being labeled as such), but that means the rest of us are getting old! It also means that the workplace has to adapt to the new blood rather than force them to conform to the old guard. Integration of HR with other business units. Almost all of those tasks were handled by other people or departments in the past, but now they’re on your plate. Congratulations? As I’m sure you’ve discovered, rapid change begets challenges. Take recruiting, for example. The Internet has made recruiting both easier and more difficult at the same time. Easier because your job posting can reach thousands or millions of applicants, but harder because you now have a larger pool of applicants to sift through to find the right candidate. A lot of companies try to solve this applicant volume problem with online “personality tests” designed to give them insight about applicants not found on their resumes or cover letters, but even those tests are problematic. They may be both culturally and generationally biased and if someone passes the test with flying colors, all that tells you is that they’re a good test taker, not necessarily a good candidate for the job. At the state level, courts and administrative agencies are constantly tinkering with employment law to address concerns of their constituents. Recently, the Florida Supreme Court expanded the reach of noncompete agreements in the healthcare industry – a boon to major hospitals that want to avoid losing valuable employees to competitors – while the Illinois Department of Labor created an online employee misclassification complaint system, designed to make it easier for employees to register complaints against their employers for violations of the Fair Labor Standards Act (FLSA). That’s two major changes in complete opposite directions (one employer friendly and one employee friendly) within the last two weeks alone. And then there’s the federal government (heavy sigh). They’re not doing us any favors in terms of providing us with consistency and predictability. While not a lot has changed in terms of legislation, the tone of the discourse is… different, and the Executive Branch is making as many changes as procedurally (if not legally) possible. The latest is a change in the makeup of the National Labor Relations Board (NLRB), which now has a 3-2 conservative majority after the successful confirmation of William Emanuel to the NLRB. With this new board member in place, the NLRB is expected to roll back its “Browning-Ferris” joint employer standard when/if a case challenging the more expansive standard arrives on the docket. That means more franchisors and parent companies will again be able to take a proactive approach in the compliance of franchisees or subcontractors, but without bearing as much of the liability burden. In HR, the best way to plan for the future is to act as though it’s already happening. Using our autumn analogy, don’t wait until all the leaves have fallen to start cleaning up. Don’t wait for it to get freezing cold to have your furnace serviced. The preparation you do today will pay dividends when the cold winds of the future start to blow. And as someone who lives in the woods, trust me, you really don’t want to be left out in the cold, holding the rake. Speaking of change, the standard by which FMLA retaliation claims are decided is constantly evolving. The newest (and somewhat alarming) change is a decision from the Second Circuit Court of Appeals. In Woods v. Start Treatment & Recovery Centers, the court found that terminating an employee who had just returned from FMLA may have violated the law despite the fact that her employer had a long, detailed and documented history of performance issues to support its decision. 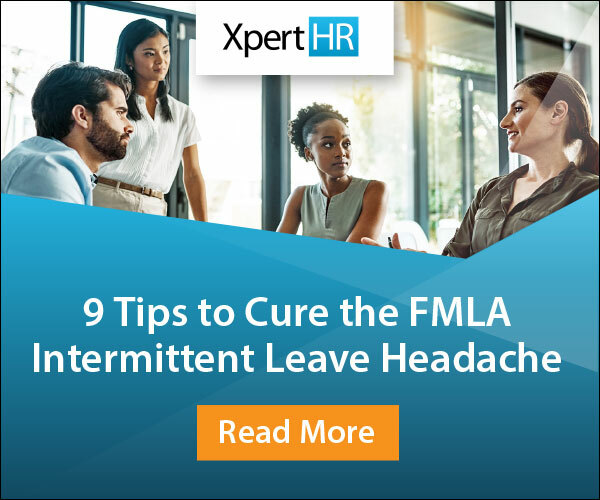 The court found that if the FMLA leave was even “a motivating factor” in the decision (as opposed to the impetus of the decision) that the employer may have violated the FMLA’s anti-retaliation clause. Is nap time considered a reasonable accommodation under the Americans with Disabilities Act? Yawn. Why yes, it is. First, consider if the employee requesting the nap has narcolepsy, which would be considered a protected disability. If not, there are other medical conditions which might make an employee tired in the workplace. And if they are legitimate and well-documented medical issues that cause fatigue, you may be asked to accommodate a siesta. Well, if the entire country of Spain can make it work, so can you. Remember, accommodations have to be reasonable and employers are not required to suffer undue burdens or hardships that undermine their businesses. So if the employee requesting nap time is a bank security guard (Seinfeld reference!) or is responsible for monitoring the nuclear reactor, well, that wouldn’t be very reasonable. As a big football fan, it behooves me to weigh in on the national anthem kneeling controversy. The fact that it also overlaps with workplace political speech and discipline means it’s ripe for HR Intel. As I’m sure everyone already knows, the First Amendment does not protect players when they engage in political demonstrations in the workplace. Freedom of speech means you can speak freely without being thrown in jail (but even that has limitations); it does not mean you get to keep your job if you say or do something that your employer finds offensive. That is especially the case in the private sector, whereas employees of public institutions do have some First Amendment protections when they comment on matters of public concern. With that in mind, NFL owners would be colossally stupid if they suspended or cut players for kneeling during the national anthem. First, any such action would likely beget more demonstrations and more negative attention focused on the league. Second, taking action against current players (Colin Kaepernick doesn’t apply because he’s not currently under contract) for engaging in peaceful demonstrations might be a violation of the NFL’s Collective Bargaining Agreement with the NFL Player’s Association. Third, because President Trump criticized the NFL for being “too soft” and ridiculed the league’s new concussion protocol, players could easily claim that they are kneeling in unison as a means to protest against the President’s comments and to preserve their right to enhanced protections of brain health in the sport. That would be somewhat of a bastardization of what Kaepernick originally sought to protest with his demonstration, but it is plausible given the timing of Trump’s comments and the ensuing protests. And that would make their kneeling for the national anthem “protected concerted activity” under the National Labor Relations Act (NLRA). All of that aside, NFL players are human beings, philanthropists and active members of their communities. If they feel passionately about something and they demonstrate in a peaceful, respectful manner, Americans from all walks of life should respect their ability to speak, even if they disagree with the substance of what they are saying. Calling for someone’s job when they’ve said something you disagree with – even if they’ve done it peacefully and respectfully – seems incongruent with the American spirit even if it would be “legal” for NFL owners to suspend or cut players for doing so. In the last edition of HR Intel, we asked you how “Vincent” by Don McLean is related to HR. As you may already know, “Vincent” is about Vincent van Gogh, the famous artist who brought us Starry Night, stunning self-portraits and stylized self-mutilation. In the song, McLean sings about van Gogh’s career and work, but also about how he was tremendously misunderstood during his life. It wasn’t until after his death that people truly began to appreciate him, his life’s work and also the severity of his illness. Now that HR is responsible for engagement, it’s your responsibility to seek out people on the fringes and get them engaged even if they seem odd or quirky. You might find that they have something truly special to offer. We leave you with (you guessed it) “A Change is Gonna Come” by Sam Cooke. Tell us how you think this song is related to HR in the comment section below or on Twitter!